That may sound pretty new agey. But judging by her exhilarating new album of originals, If Not Now, When?, other jazz composers may want to try the same thing. “All this music just came to me,” she says. If Not Now, When? was produced by Andrea and her longtime collaborator Bill O’Connell, whose deep-in-the-keys lyricism at the piano and gut instincts as an arranger suit her to a T. For this project, Brachfeld said, Bill initiated a new approach. “You write the melodies and I’ll write the harmony” she recalls discussing with O’Connell, an expression of great mutual trust. When she first brought in her pulsating song, “Steppin,’” she had four or five parts in mind. O’Connell suggested they just do the first part and then “play.” The eight-bar melody breaks into high-stepping improvisations before settling into a shifty groove with bassist Harvie S, longtime duo partner of Sheila Jordan, and drummer Jason Tiemann. Not until the session was nearly over did Brachfeld pull from her bag of compositions “Anima Mea,” which she describes as “a simple folk tune with sheets of sound.” No problem: “Bill harmonized it within five minutes” and the quartet whipped it into a kind of McCoy Tyner homage. 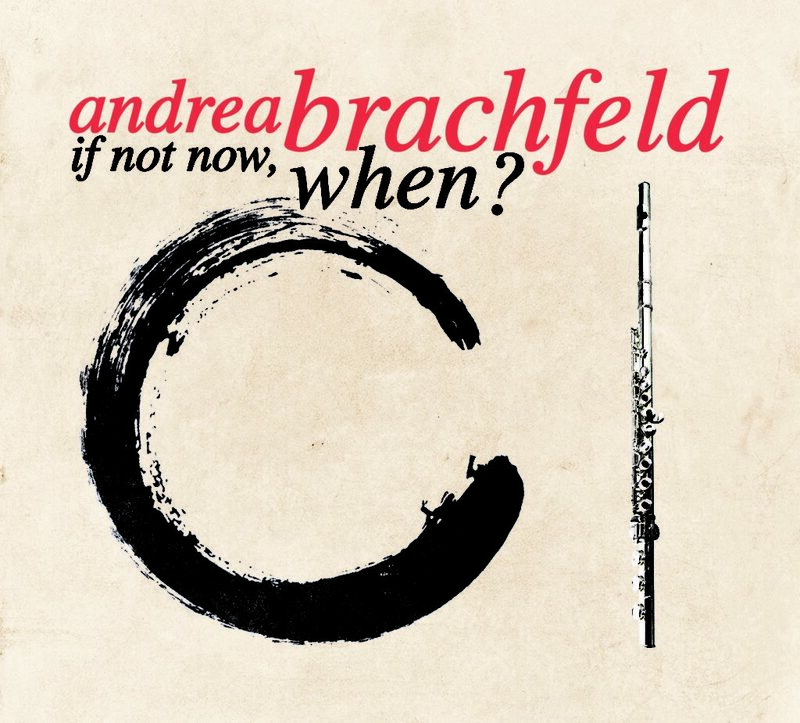 Andrea Brachfeld was born on May 3, 1954 in Utica, New York. She began playing piano at age six and flute at 10. Escaping what she called a “challenging family situation,” she would play her flute outside their 30th-floor apartment in New York City. In 1969, she enrolled at the High School of Music & Art on West 135th Street. At 16, Andrea got her first jazz gig, playing her own pieces with her quartet at an “All Night Soul” presentation at St. Peter’s Church. She attended Saturday morning Jazzmobile workshops, where Jimmy Heath was one of her flute instructors. At the Jazz Interactions program on Thursdays, another legend, Yusef Lateef, introduced her to Eastern music and other ethnic sounds. Just how well the personal and the spiritual can work together is revealed on the closing rendition of “Amazing Grace,” the album’s one non-original. Brachfeld’s improvising is bold and beautiful, a statement of belief not only in heavenly authority but human creativity as well. How sweet the sound, indeed.